It’s time to switch from ‘inside historical fiction‘ to ‘social reading‘, the second of two themes A Writer of History is exploring this year. Why am I interested? Because I want to be part of the conversation readers have with one another, with writers and with bloggers, and I want to embrace, not resist, the change that’s happening in the world of content creation. To begin, I thought I would set out a few thoughts about social reading. The headline says 10, but you never know, I could come up with more. Social reading is about relationships. Readers with writers. Readers with readers. Readers with reviewers and bloggers. Writers with writers. Bloggers with bloggers. Well, you get my point. Readers expect writers to be social. As a writer, if readers want to hear from you, your books will sell. Achieving this objective requires an active, sincere, personal, content-rich social media presence. Ultimately, “the audience grows the audience”. I borrowed this line from Seth Godin who was commenting on his own digital media presence. Engagement is personal. Readers seek like-minded people. They enjoy the give and take of conversations that occur via social media and want to establish connections. Social reading is two-way not one way. Pure one-way broadcast is dead–one of the reasons why traditional book reviews are giving way to bloggers, Goodreads and other mechanisms that provide a forum for interaction. Social reading requires social listening. Readers value conversations. Good conversations involve active listening. Social reading facilitates discovery. For example, Goodreads recommendation engine suggests new books based on the books a reader has on their shelves. Data from 2013 indicates 11 million books discovered via Goodreads every month. Social reading is dynamic. It “will evolve in response to ever–changing hardware and software platforms”. Bob Stein, Institute for the Future of the Book. What works today will change tomorrow. Social reading requires trust. Trusted connections facilitate more open communications. Readers depend on trusting those who review and recommend books, with others involved in the conversations around books, with writers who participate. 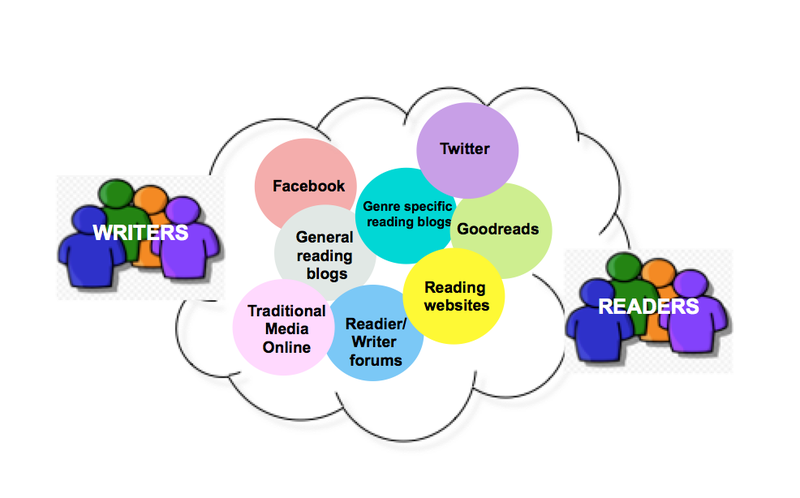 Social reading involves a new set of influencers. Goodreads, book bloggers, Facebook, Twitter, LibraryThing, Shelfari, Wattpad, Book Riot, Amazon, Fantastic Fiction, Paperback Swap, Book Bub are just a few of the players in the changing reading ecosystem. Social reading facilitates the shared experience of reading a book. Readers love to talk about a book they’ve read. Some do so in physical book clubs, others choose online book clubs. Such conversations enhance the book experience by bringing additional insights and varied opinions. Social reading can extend into the creation process itself. 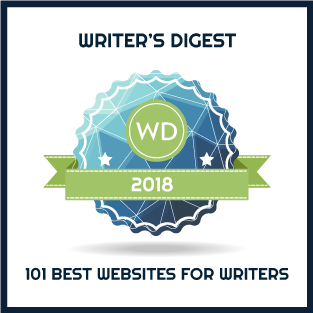 New sites like Wattpad allow readers to post suggestions chapter by chapter so writers can change what they’ve written or what they were planning to write. Some suggest that over time, the boundary between writing and reading will blur. Twelve thoughts to start this topic off. What do you think? Reading is so important for a writer; its the education behind what we do. But writers, I think, read books a bit differently than someone who is not a reader. We read like a writer. Authors learn, pick out amazing dialogue, phrases, descriptions, etc. from great absorbing novels. The other thing books are good for when you are a writer is, often it frees up our mind because we are absorbed in the story; gets us out of our own head and can even knock out that ‘writers block’ we are having. Often I get ideas for my own work while I am reading something totally different from what I am writing. It has absolutely nothing to do with the plot or characters of the book in my hand. Its sorta like when an idea comes to you in the shower or before you drift off to sleep. Thanks for this. The speed of change is overwhelming. All great stuff but I am not seeing much direct/personal conversation that I expected. It’s not about social reading but social marketing. In one week of Twitter use I am already muting some people who do nothing but blurt out links to their books. I’m hoping that Goodreads is a better place for dialog and relationships than Twitter. I need to be more proactive about Goodreads. I’m sure there is much more to learn there. I’ve long had a theory that the only people who make any money (“success”) via social media are people selling information about how to use social media to make money. Bloggers who blog about blogging. Writers who write about writing. Social media gurus who write about social media. I think people who just want readers for fiction have a much harder time. (And I haven’t really even started.) So, I’m thinking about my own media presence and determined to find a way to make it about relationship and discussion (social reading!) – not a machine to gain “followers”. Oy. I am told there may be more writers than readers soon … or already … and not many readers read writer’s marketing words because they are in the wrong place. I too am looking for the right place. Do something naughty … write a book about it and get yourself on national TV and Newspapers. This seems to sell books in bucket loads … but is this what you or I or our families really want ….? There is also then the risk of the media digging up all those things one does not want written about. I’m just writing for me and reading others good books for pleasure … it is a lot less stressful. I think that finding readers is harder because they are less vocal than writers. As writers, we tend to respond to other writers (on socials, on blogs, ect.) because we are all in the same boat, so we know how the writer feels because we feel the same. We support each others, basically. Readers often don’t feel the need to support writers, not even those they read and appreciate. Only a little persentage of readers feel compelled to get in touch with a writer to tell her how much they enjoyed her books. I think the percentage of readers who want the writer to know how awful her book was is higher. I’m also sceptical of readers who try to be writers, for example on sites like Wattpad. Don’t get me wrong, I’ve just started using socials and I’m surprised how much I’m enjoying it. And it may be useful, once you’ve discovered what works for you. But I don’t neccessarily think the internet ‘sociability’ of reading is always a good thing.